Yes, this looks like a trend. 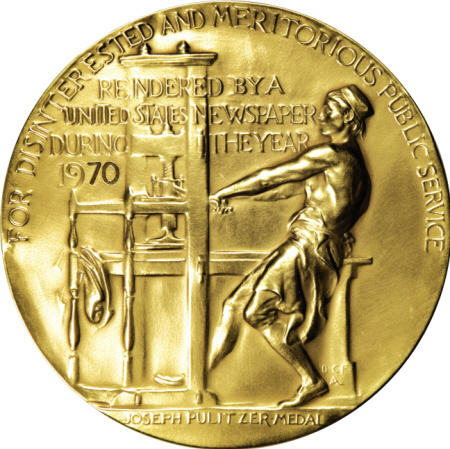 Yesterday we posted on recent Pulitzer Prize winner Rob Kuznia’s decision to leave journalism for public relations before being honored for his work covering corruption in California’s education system for the Daily Breeze. The reason for his move was simple: local journalism doesn’t pay well enough — and he doesn’t live in Manhattan or The Mission District. Turns out Kuznia wasn’t the only winner who made that decision — yesterday Natalie Caula Hauff spoke to Charleston, South Carolina’s City Paper about the very same move. ICYMI, Hauff won a much-deserved Pulitzer, along with other members of the Post and Courier editorial staff, for an extended piece called “Till Death Do Us Part” that examined the high rates of domestic violence among South Carolina veterans. As the City Paper piece notes, however, several P&C editorial staffers left their positions in recent years for PR gigs — and we can all safely assume that they did so, at least in part, for higher pay and a greater work/life balance. One in particular cited “low pay, burnout, and the constant pressure of being asked to do more with less,” to which we say check, check, and check. Given the fact that this trend story follows the Career Cast survey naming “newspaper journalist” the worst job in America, maybe your media contacts deserve an extra drink this month. After that, it’s all back to normal.